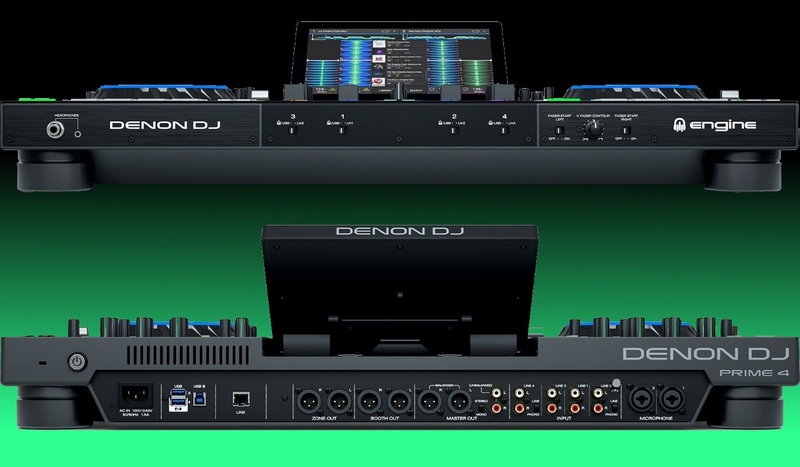 Denon DJ has released the equivalent of a mic drop: say hello to the Prime 4, the first 4 channel standalone DJ system ever. 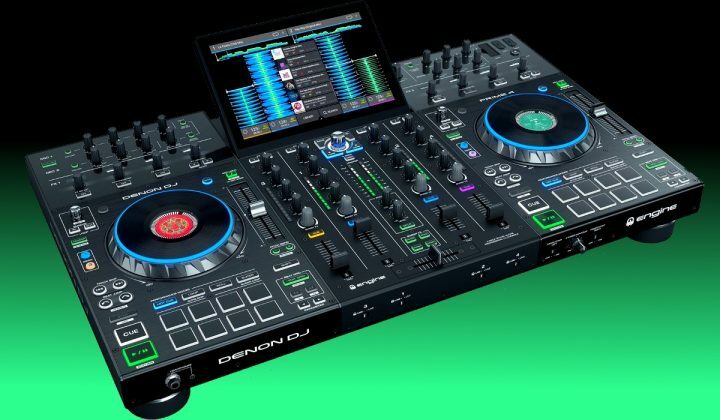 The Prime 4 has many features that literally change the DJ game when it comes to standalone units: it comes with a 10-inch, high-resolution touch screen that can be adjusted in angle, 4 channels, a feature Denon DJ calls Zone output that can route a channel to a separate XLR output (and has its dedicated gain and EQ controls), 4 USB inputs, 1 SD card input and a bay for SSD drives! Wew. That’s a lot to take in. 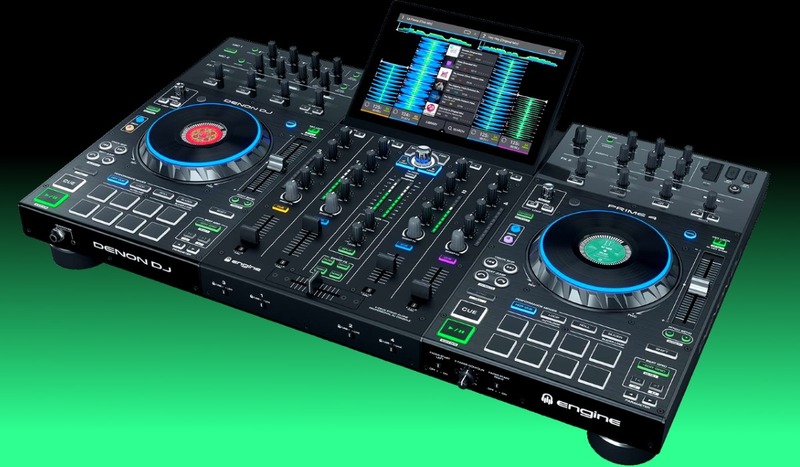 Now consider this: the mixer on the Prime 4 accepts up to 4 external audio sources. So, if you add 2 SC5000’s to the mix, you can have a standalone 4 channel system with 4 players for USD 3600, since the SC5000 are selling for USD 999! That is a LOT of kit for a VERY reasonable price! 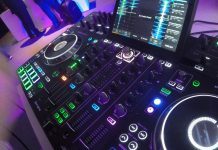 The decks look very much like smaller SC5000’s: the jogs are a bit smaller, but they do have built-in LCD screens in the middle, and there are 8 performance pads per deck. I absolutely love the way Denon DJ implemented the effects. Each effect knob has its dedicated OLED screen that shows relevant details (effect name, selected beats…). That makes it so much easier to know at the glimpse of an eye how everything is set. 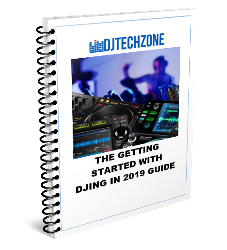 It’s the kind of approach that makes people go “why didn’t I think of this before”, and a genius way of making things easier for DJ’s. There is so much more I can say about this unit, but I will keep that for future articles, and certainly my review of it at NAMM 2019. Stay tuned for my full review! 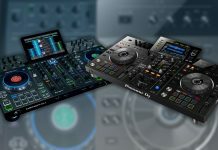 The Prime 4 is designed to work primarily with Engine Prime, but the press release states that Serato DJ Pro support is coming soon. That’s quite amazing and depending on the level of integration (will all the features work when used as a controller, such as the screens) it could be another game-changing feature. 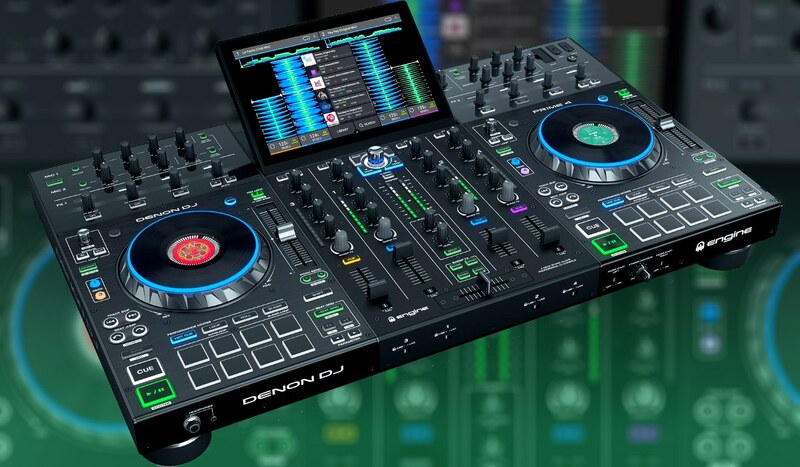 Since Engine Prime can read Serato DJ Pro libraries, it will be possible at launch for Serato DJ users to play with the Prime 4, they will just need to convert their library using Engine Prime and export their tracks to USB, SD or SSD. 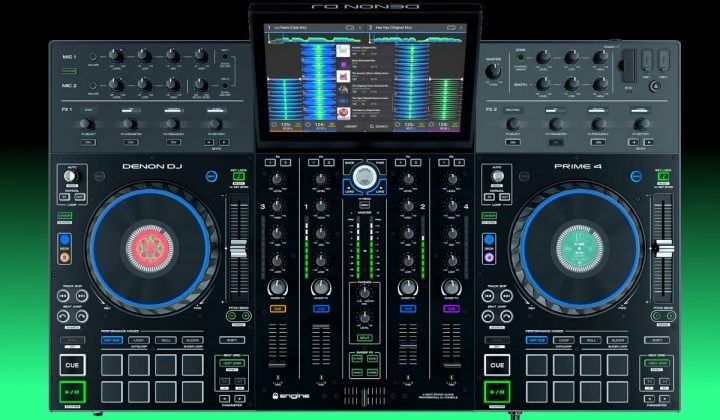 The same goes for Traktor Pro users since Engine Prime can read Traktor Pro libraries as well. 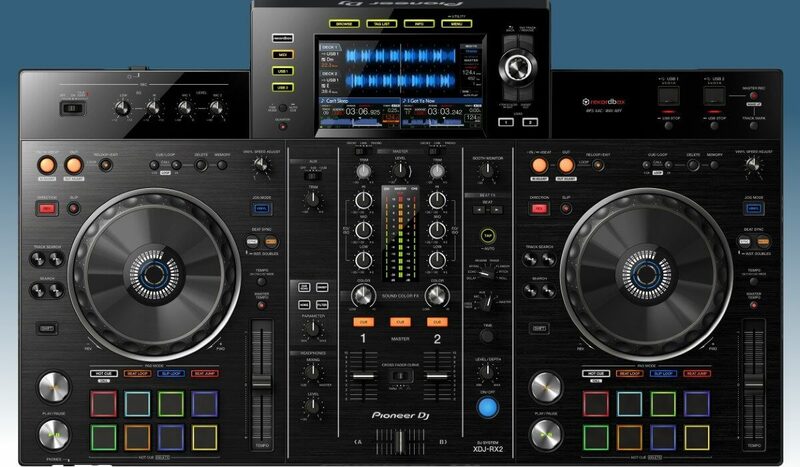 Suddenly, the Pioneer DJ XDJ-RX2 doesn’t look so hot anymore, does it? Still, I don’t think Pioneer DJ has any reason to panic. They still are the industry standard, Rekordbox and Rekordbox DJ remain superior to Engine Prime. 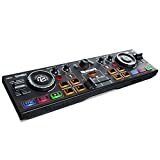 But, and that’s a big but, the XDJ-RX2 is priced approximately the same as the Prime 4 (around USD 1699), and trust me, that’s not a coincidence. 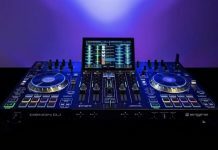 It will be very hard for DJ’s that are on the lookout for a standalone system to ignore the Prime 4 and go for the XDJ-RX2 both being at the same price point. 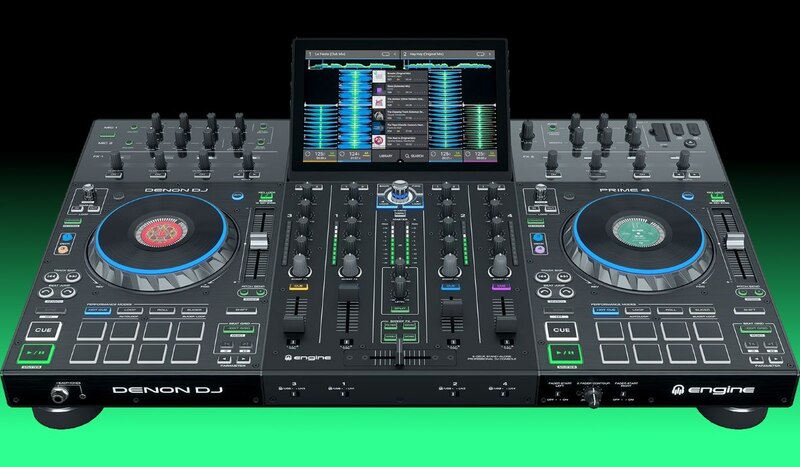 Lowering the price of the XDJ-RX2 will probably be a necessity in order to remain competitive. Let’s see what happens! Available in March 2019, for USD 1699.